Home / List of All Products / Alphabetical Listing of All Other Products / Fractionated Coconut Oil 8 oz. 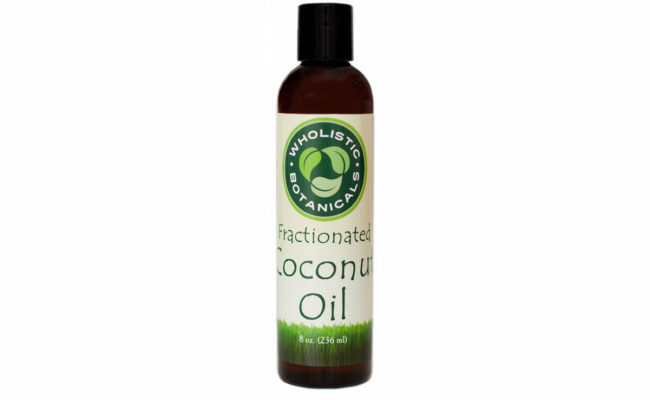 Wholistic Botanicals Fractionated Coconut Oil is an all-natural carrier oil that easily absorbs into dry or troubled skin, making it perfect for topical treatments. Is odorless, colorless (does not stain), does not clog pores & leaves skin feeling smooth with no greasy feeling like many other vegetable carriers. 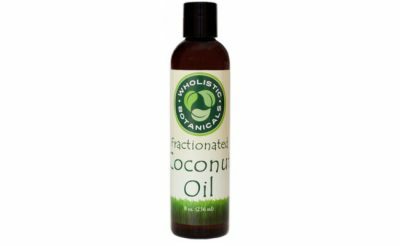 Fractionated Coconut Oil has long been used worldwide for its many benefits to the skin & hair, aromatherapy, used in soaps, lotions, massage oils & also a great carrier for blending with essential oils. Ingredients: Fractionated Coconut Oil (Caprylic/Capric Triglyceride).